Shopping lists play a central role in grocery shopping. Among other things, shopping lists serve as memory aids and as a tool for budgeting. More interestingly, shopping lists serve as an expression and indication of customer needs and interests. Accordingly, shopping lists can be used as an input for recommendation techniques. 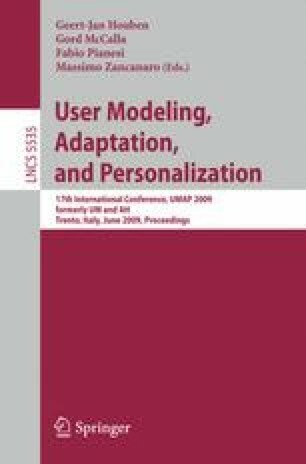 In this paper we describe a methodology for making recommendations about additional products to purchase using items on the user’s shopping list. As shopping list entries seldom correspond to products, we first use information retrieval techniques to map the shopping list entries into candidate products. Association rules are used to generate recommendations based on the candidate products. We evaluate the usefulness and interestingness of the recommendations in a user study.